The US and Russia clashed publicly over Venezuela on Monday, raising geopolitical stakes over the oil-producing nation after Moscow sent dozens of soldiers to Caracas amid what it alleged was a budding "coup." US Secretary of State Mike Pompeo warned his counterpart Sergei Lavrov over the phone that "the United States and regional countries will not stand idly by as Russia exacerbates tensions in Venezuela." The tense conversation came after Russia sent two planes reportedly carrying around 100 soldiers and 35 tons of military equipment to Venezuela's main airport outside Caracas on Saturday. One independent Venezuelan journalist, Javier Mayorca, reported that the deployment also included General Vasily Tonkoshkurov, a top official who heads the Mobilization Directorate of Russia's armed forces. 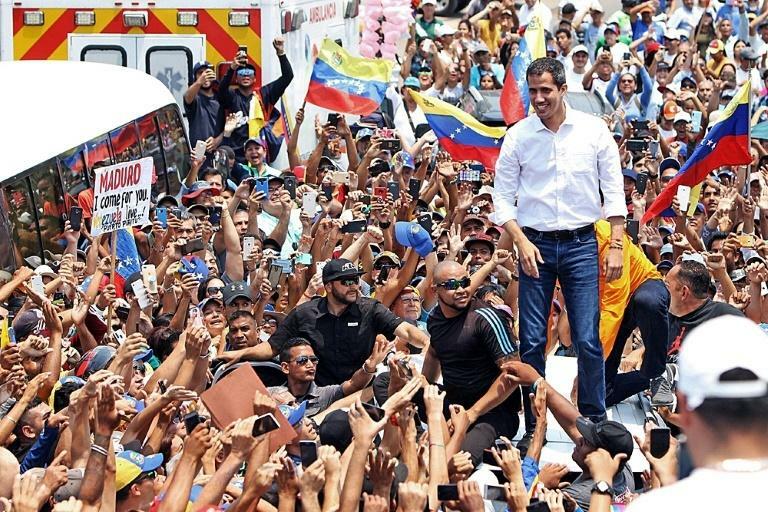 Although Russian state news agency Sputnik described the troop arrival as a movement to "fulfill technical military contracts," the development unsettled Washington, which has thrown its weight behind opposition leader Juan Guaido as interim president against President Nicolas Maduro. 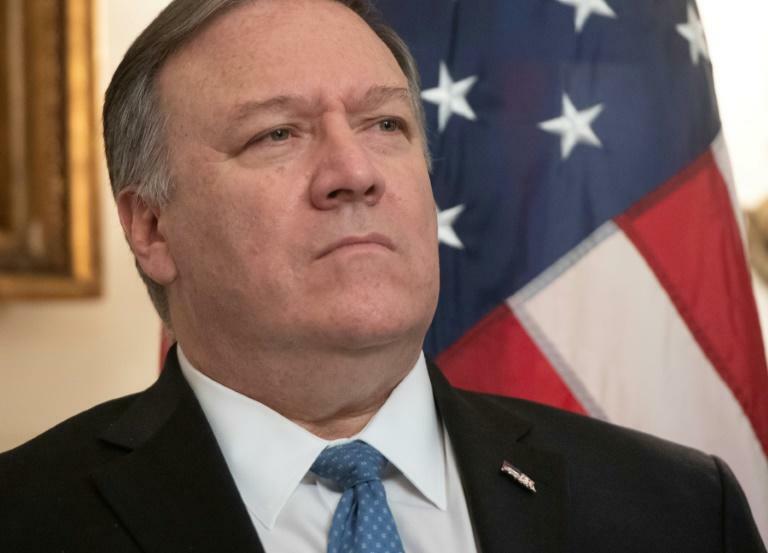 "The continued insertion of Russian military personnel to support the illegitimate regime of Nicolas Maduro in Venezuela risks prolonging the suffering of the Venezuelan people who overwhelmingly support interim President Juan Guaido," Pompeo said, according to his office. The Organization of American States echoed the US condemnation. "It is unacceptable that a foreign government engages in military cooperation programs with a usurping regime that has been declared illegitimate by resolutions and Inter-American law, which also threatens hemispheric peace and security," read a statement from the OAS General Secretariat. Lavrov said in a statement he had complained of "attempts by Washington to organize a coup d'etat in Venezuela" during his conversation with Pompeo. Such moves "constitute violations of the UN charter and undisguised interference in the internal affairs of a sovereign state," it said. Russia and China are the main allies of Venezuela. Both have lent billions of dollars to the oil-rich South American country, propping up Maduro's cash-strapped government. Russia's President Vladimir Putin has a record of ordering his military -- or paramilitary -- forces into several theaters to challenge US strategies, notably in Syria and Ukraine. The Russian move is unlikely to alter US strategy in the short-term however, said Ana Quintana of the conservative Heritage Foundation think tank in Washington. "The US should continue stressing to the Russians it is in their interests for a democratic transition to occur in Venezuela," said Quintana. "While the U.S. must continue to monitor Russia's activities and warn them against further escalation, this minor tactical move should not result in a strategic shift in policy." US moves against Caracas have ratcheted up in recent weeks, with President Donald Trump warning that "all options" -- implicitly including US military intervention -- were being considered. 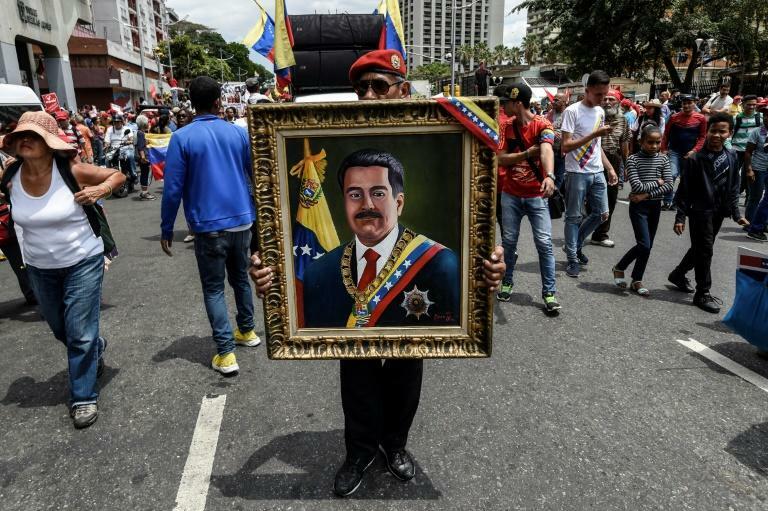 "We have dismantled a plan organized personally by the diabolical puppet to kill me," Maduro told thousands of supporters in Caracas, referring to Guaido. His government gave details of the alleged plot on state television, with Information Minister Jorge Rodriguez saying "hitmen" from El Salvador, Guatemala and Honduras had been recruited "using big sums of money" and sent to Colombia ahead of missions into Venezuela to carry out "targeted assassinations" and "sabotage." Rodriguez accused Guaido's chief of staff, Roberto Marrero, of receiving money from the United States and being a key organizer of the alleged operation. Marrero, a 49-year-old lawyer, was arrested on Thursday in his Caracas home, triggering an outcry and demands that he be immediately released by the US, the European Union and major Latin American countries that recognize Guaido as Venezuela's interim president.